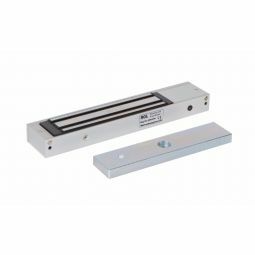 What are Electromagnetic Locks, or Maglocks as they’re commonly referred to? Electromagnetic locks are used to create an electromagnetic force between two objects, in this case the main body of the lock and a metal armature plate, and thus enables the access control solution to take benefit from the physics behind electromagnetism. The magnetic current is created by a coil of wire that surrounds a metal plate – and this enables it to become magnetised. 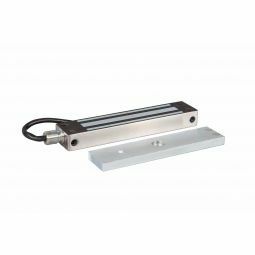 When the magnetic lock is activated, an electrical current will pass through the coil, magnetising the lock, and attracting the armature plate to it and effectively locking/securing the door. The size of the lock, and in turn the size of the coil will directly affect the holding force that is applied to the locking device. Our products start from as small as 100lb or 60kg of holding force and increase to 1200lb or 545kg of holding force. 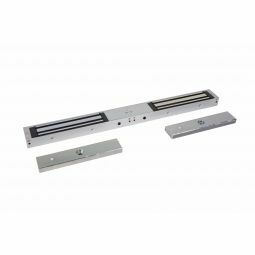 The holding force is the measurement used to establish how much force would be required to disengage the maglock without using the traditional methods (using a keypad or exit button). The holding force mentioned on each maglock will be the maximum that each lock is capable of providing, and will be affected by a series of factors such as where it is located on the door, the material the door is made of, how clean the lock is, how accurately it has been fitted and the reliability of the power source. 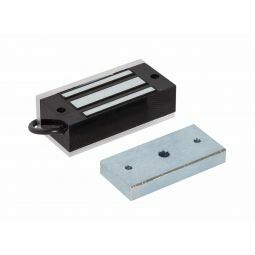 Maglocks are protected by an epoxy resin, which helps make them an extremely resilient electromagnetic lock, and this alongside its ease to install makes them extremely popular with installation engineers and property owners alike. 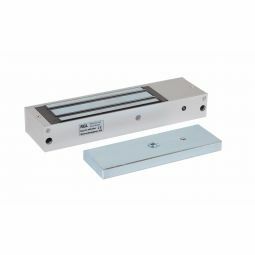 Due to the lack of moving parts within the Electromagnetic lock, and no requirement for any kind of latch or dropbolt, this makes them ideal for use on emergency exits, as there is no risk of mechanical failure as all you need to ensure is that the power is removed.